Public administrators who neglect the dynamic interaction between partisans and authorities—especially city managers who serve at the pleasure of politically divided city councils—do so at their peril. 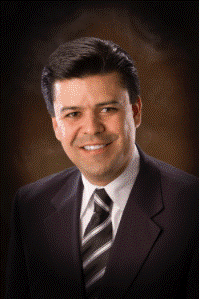 Just ask René Bobadilla, the recently “resigned” city manager of Pico Rivera, California. Hired in June 2014, Bobadilla was rewarded in 2017 with a five-year contract following a three-two vote by the city council. Yet, within one year, Bobadilla resigned. In retrospect, those two “nay” votes portended the partisan opposition that would culminate in Bobadilla’s resignation, despite all the positive progress made since he arrived in Pico Rivera. More importantly, Bobadilla’s conduct in the face of that opposition provides an object lesson in the price that conducting oneself ethically can exact of public administrators. On or around February 27, 2018, Pico Rivera’s Mayor along with Bobadilla, the assistant city manager, a councilman (one of the two voting against the contract), and two “potential city vendors” convened for a working lunch. As the discussion unfolded, the councilman reportedly ordered Bobadilla to terminate the city’s contract with the long-time operator of its sports arena. However, Bobadilla refused because the operator hadn’t violated its terms. Exercising courage, compassion, benevolence and optimism. Maintaining truthfulness and honesty and do not compromise them for advancement, honor, or personal gain. Resisting political, organizational and personal pressures to compromise ethical integrity and principles and support others who are subject to these pressures. Accepting individual responsibility for [one’s] actions and the consequences of [those] actions. Guarding against using public position for personal gain or to advance personal or private interests. Zealously guarding against conflict of interest or its appearance. Disclose any interests that may affect objectivity in making decisions and recuse oneself from participation in those decisions. Conducting official acts without partisanship or favoritism. Bobadilla’s integrity didn’t impress the councilman who, it was reported, stood up and stated angrily: “If that’s the way you want it, then we’ll do something else.” The councilman left the meeting, along with the vendors. Several days later, the councilman summoned Bobadilla to meet at a city park. Unexpectedly present was the other councilman who had voted against the five-year contract. Informing Bobadilla they had secured the vote of a third councilman—the Mayor Pro Tem—they demanded his immediate resignation. If he didn’t, Bobadilla was told, they would proceed with a vote to terminate. Again demonstrating integrity, Bobadilla didn’t resign. Fulfilling his threat, the councilman later announced an “emergency” council meeting to vote for Bobadilla’s termination. However, a media report of the announcement generated sufficient public outrage that the councilman relented, waiting until the next regularly scheduled council meeting. On March 13, 2018, the partisans prevailed. After Bobadilla submitted his resignation, the council voted three-two to approve a separation agreement. The victory came at a high cost to the city: Estimates of the cost are in the range of $375,000. Corrupt and illegal, yes. But, not unimaginable, as Gamson warned decades ago and subsequent conduct on the part of many public servants has testified. When public administrators come under assault by partisans acting with malign intent, virtue requires deliberating about what the “perfect”—and, in this case, integrity—requires. But, given the situation and circumstances as well as their various roles and responsibilities, public administrators must also heed Voltaire’s observation “not to make the good the enemy of the perfect.” In this case, René Bobadilla exemplified integrity by resisting the partisans while also considering the professional and personal costs posed by those threats. No doubt about it: The price exacted of public administrators who demonstrate integrity can be prohibitive. Yet, those who pay that price do so, as the research substantiates, knowing that “virtue is its own reward.” When public administrators don’t deliberate about the perfect or reject it as altogether unrelated to their interests, their lack of ethical leadership ultimately benefits no one… other than those partisans acting with malign intent.